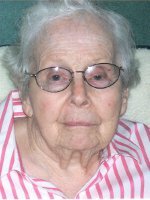 ALBANY – Ramona Lauder Hart, 90, of Albany, passed away peacefully at the Teresian House on Tuesday, December 18, 2012. Mrs. Hart was born in Canandaigua, the daughter of the late John Adair Lauder and Elizabeth French Lauder. She was raised in Victor, but lived most of her life in the Albany area. She was employed by the Bausch & Lomb Co. in Rochester, and also worked as a beautician. She was later employed at St. Peter’s Hospital in Albany until her retirement. She was a longtime member of the McKownville United Methodist Church. Mrs. Hart was predeceased by her husband Robert Harlan Hart. She is survived by her children Sally A. Hart of Albany, Barbara J. Hart of Guilderland, Pamela R. Hart of Schoharie, and David L. Hart (Gloria Rosko Hart) of Rotterdam Junction; her sister Dorothy Dudley (Richard) of Fairport; her sister in law Jean Lauder of Fairport; her brother in law Malcolm R. Blakeslee of California; her grandchildren Kelsey and Conor Hart; and by many cousins, nieces and nephews. She was predeceased by her brothers Donald Lauder and his wife Mary, and John Lauder, and by her sister Thelma Blakeslee. The Hart family would like to express their appreciation to the staff of the Teresian House for the loving care they provided to Mrs. Hart. A memorial service will be held in the McKownville United Methodist Church, 1565 Western Ave., Guilderland, on Saturday at 11:00am. Relatives and friends are invited. Interment will be in the Gerald B. H. Solomon Saratoga National Cemetery. The family suggests memorial contributions the Teresian House, 200 Washington Ave. Ext., Albany, NY 12203, or to a charity of your choice. Arrangements have been entrusted to the Hans Funeral Home, Albany. To leave a message of condolence for the family, send a sympathy card, or obtain directions to the church, please visit www.HansFuneralHome.com. I loved visiting your Mom at Teresian House. She always had the sweetest smile for me! I’ll remember the parties in your basement that she tolerated when the music was so loud it could break windows. She made me laugh when she bragged about how much work Barb did for her even though Sally and Pam had just been there running all the errands. Our Mom’s were all amazing ladies, tolerant beyond limits and tireless in their love of family. It was a great generation! We are so sorry for the loss of your Mother. Our thoughts are with you and you family. Thoughts and prayers to you in this time of loss. May your hearts always find happiness in memories of a life well lived. I am so glad your Mom got to meet my wife and two sons a few yrs ago when we popped in on her. She was a gracious host and we had some laughs about old times in the 60’s. She was a big part of my childhood growing up on Highland Drive. God bless you all.